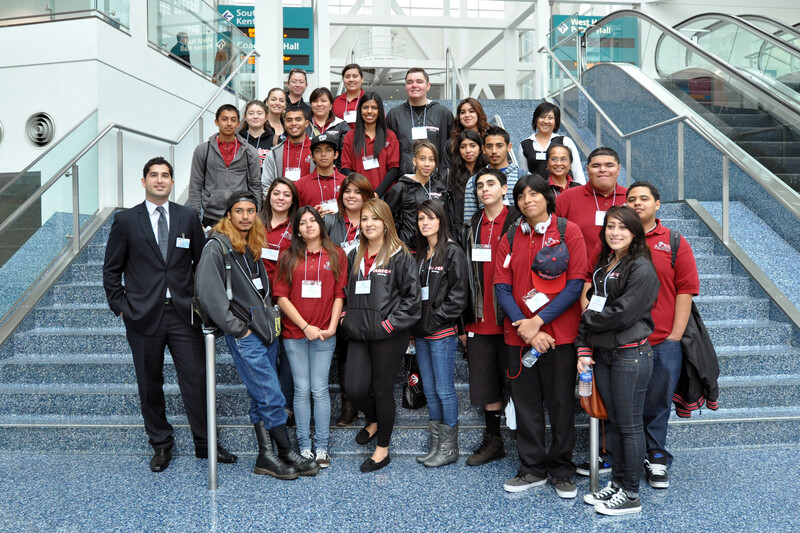 On Friday, March 16 the Los Angeles Convention Center (LACC) rolled out their red carpet for 23 MATCH seniors from Banning High School for a behind-the-scenes look in to the world of trade show operations. 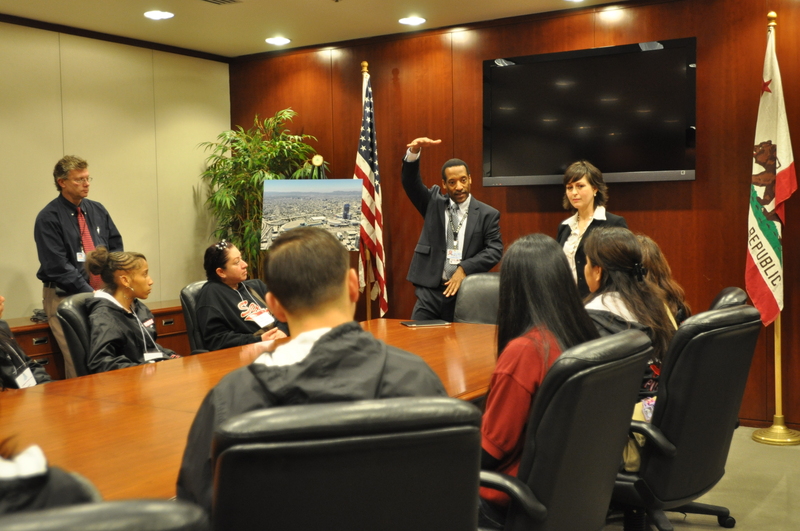 The students received exclusive backstage tours and were treated to a board room presentation from top LACC executives who spoke about careers and all the industry has to offer. The students were able to get a feel for the preparation and hard work it takes to put on a trade show as they watched the Food & Beverage division preparing culinary delights for the International Health and Sports Racket Expo. After the tour, the students listened to a presentation from Mary Jane Aquino, Acting Assistant General Manager for LACC, Phillip Hill, COO, Greg Rosicky, Vice President of Event Operations, and Reza Semadi, General Manager of Food Services and enjoyed a salty sweat treat: chips and fresh mango salsa courtesy of Executive Chef Lewis. The hot topic among the students was job opportunities and COO Phillip Hill didn’t disappoint them. He explained that the new project, Farmer’s Field, would create a large demand for jobs and Reza Samadi introduced the student to Aramark’s internship program. Both drove home the importance of finishing school so they could be considered for prime opportunities. The MATCH students made a huge impact on the LACC professionals who facilitated the tour and took pride in knowing one day they’d be able to bring their exceptional culinary skills to the Convention Center. Greg Rosicky, remarked, “this is the best group of students we have ever had.” Thank you to the LA Convention Center, and everyone who was involved in making this tour possible, it was an amazing experience for our students!